This is a great program for the Mites. Instruction but all fun. Winterland is proud to once again partner with the St. Louis Blues Youth Hockey movement and operate the 2019 JR. Blues Learn to Play for 9 to 15 year olds. Over the past few years the program has been a great success and given kids the chance to enjoy playing the great game of ice hockey. The JR Blues program is a 9 week program that is designed to introduce first time players, ages 9-15, to the sport of hockey. Throughout the nine weeks, participants will learn the fundamentals of hockey along with players that are at a similar skill level. One week is dedicated to classroom work to help them understand game play and they even get a chance to discuss the role of on Ice Officials with real a referee from the Missouri Ice Hockey Officials Association. The program will begin on April 27, 2019 and will conclude on July 6th. There will be no ice practices on the dates of May 25th, or June 15th. 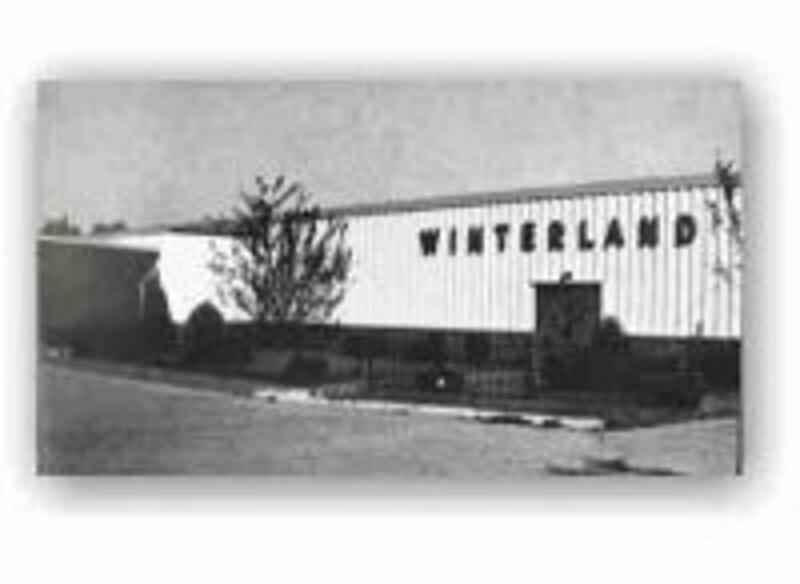 Winterland will also hold a special meeting for all the participant's parents so they can get a chance to ask questions and gain knowledge regarding getting involved in youth hockey in the St. Louis Area. We learned from last year that we needed a program so that the JR. Blues Learn to Play participants had something available for those that wanted to keep skating and having fun after their JR. Blues LTP Program was over. So in an effort to nurture their enthusiasm, we have developed a six week scrimmage program that will include 10 to 15 minutes of basic instruction each day and then allow the kids to scrimmage the rest of the time. This program is basically an extension of the normal Winterland summer program for Squirts, Peewees, and Bantams. We feel it will keep the kids skating and also allow us to better educate the kids on game play. Come have the time of your life. The Friendship Games are open to whole teams or just individual players looking to have some fun. We strongly suggest you register as soon as possible. It will fill up fast. Kirkwood, and Creve Coeur have once again joined the Winterland team to help promote the local hockey programs. They are starting out helping us to promote the JR. Blues Learn to Play Program and our Student Volunteer Program along with our High School No-Check program, and our Adult Learn to Play. They have committed to see that the 2018 Winterland Friendship Games are a great success again. They have even jumped on board to help the St. Louis Rockets Squirt House Silver team, that Winterland President Kevin Whitworth is Head Coach for, to raise money for their trip to Louisville to play the Louisville Ice Cardinals and South Indy Sharks. BWW is committed to their communities. Please support our local BWW!! Coach Whitworth had the pleasure of Coaching the St. Louis Rockets Squirt House Silver Team this past winter. It was a great year. ESPN Radio has a special week for Coaches this week and Coach Whitworth's Rockets Squirt House Silver Team’s Parents nominated Coach Whitworth to ESPN Radio for being a great coach for kids and was selected. "What an honor for me to be able to represent my club, The Rockets and the wonderful kids I had the chance to coach this winter, stated Coach Whitworth" It goes without saying that the Rockets have a great program and wonderful families." Winterland is proud to be involved with HEROES Care in an effort to help our US Military members by collecting and shipping Care Packages full of goodies to our men and women in the Military. 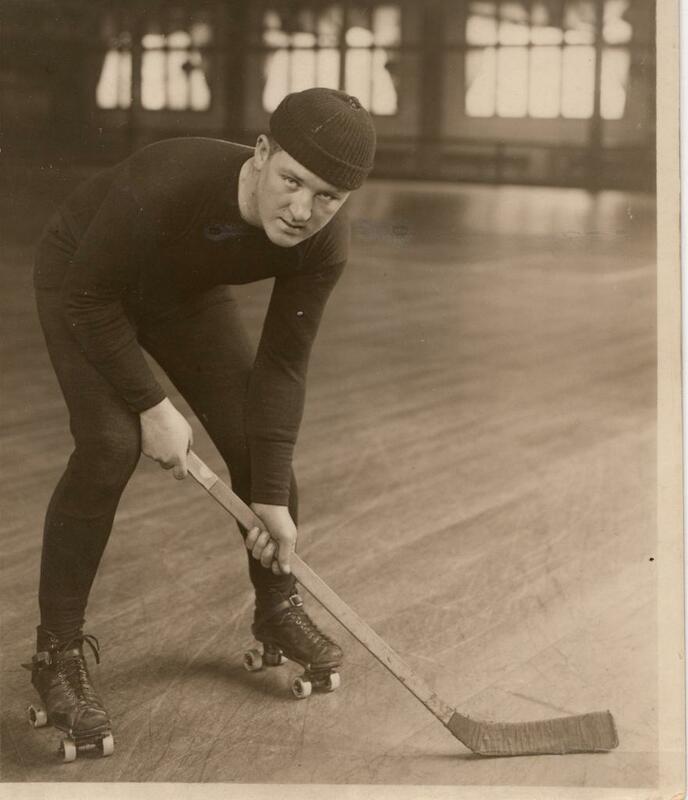 Individuals, Teams and Hockey Clubs can participate at any level. See our H.E.R.O.E.S CARE page on our Winterland Web Site or visit the H.E.R.O.E.S. Care web site. We are very proud to have Jet's Pizza join our team of sponsors and supporters for our 2018 Winterland Friendship Games. With their location near our rinks in Webster Groves and Creve Coeur, it gives our hockey families a great place to stop for lunch or dinner. All parents need to see this video from Ontario Minor Hockey about players speaking out about what they think about parents in the stands should be doing. Winterland welcomes the St. Louis Sports Commission to our team of friends supporting the development of the Winterland Friendship Games and all sports in the St. Louis region. 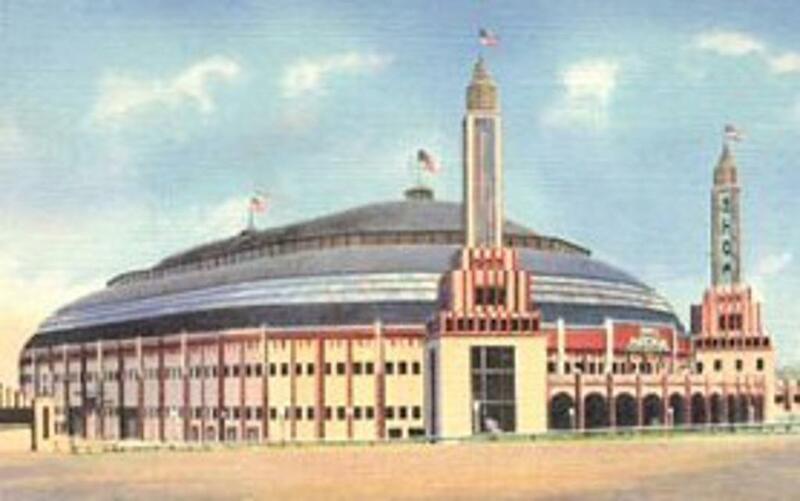 Since 1994, the St. Louis Sports Commission has done a wonderful job bringing Sporting Events to St. Louis. Winterland Ice Hockey is proud to be a part of the growth of youth sports in the area. 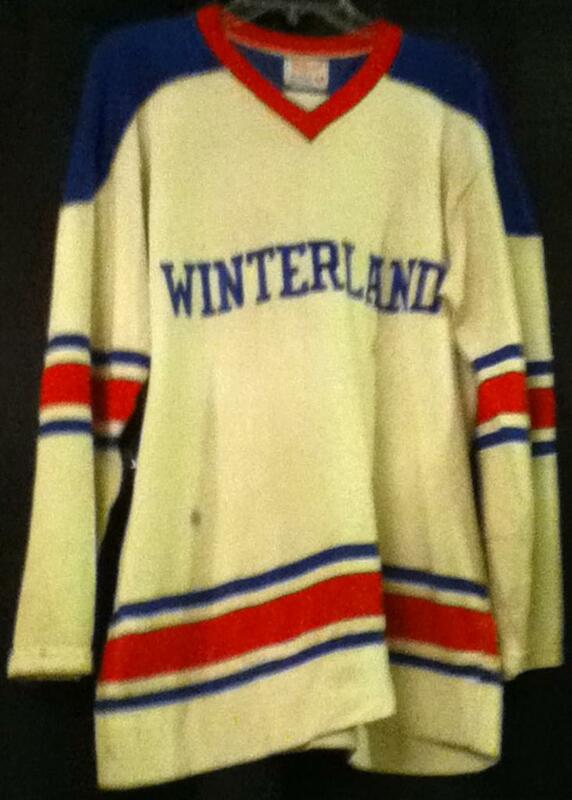 Winterland is proud to partner with the Lady Lyons in the development of Women's Hockey. Best Buddies International is the world’s largest organization dedicated to ending the social, physical and economic isolation of the 200 million people with intellectual and developmental disabilities (IDD). 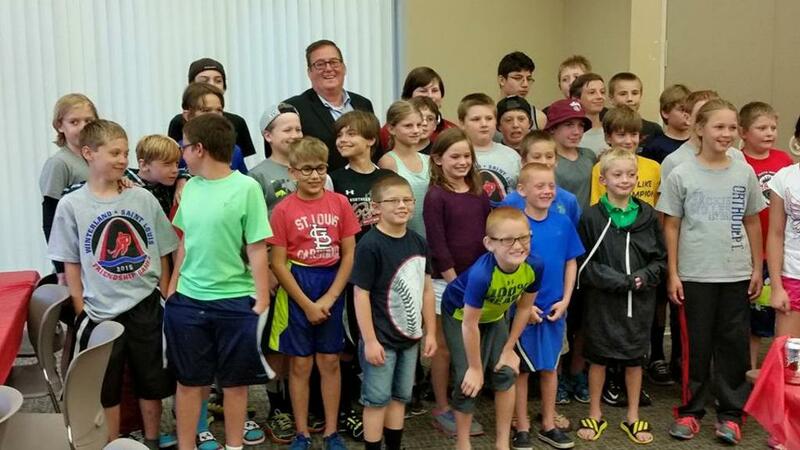 Winterland is proud to partner with Kelly Quinn and her Missouri Best Buddies program. It is truly Education through Sports. Learn to Play Ice Hockey!!! Winterland is proud to announce their partnership with the St. Louis Blues Youth Hockey Program and the development of the JR. Blues Learn to Play program. Missouri Hockey and our clubs provide many opportunities to be a part of the great game of ice hockey. Whether your child is just learning to skate or your player is striving to compete for a gold medal we hope that we can support your family in their journey. For the 4th year in a row, the Winterland Ice Hockey Program will partner with the MIHOA(Missouri Ice Hockey Officials Assn) to host a weekend of hockey in an effort to give MIHOA an opportunity to train and evaluate select Level 1 and Level 2 referees. Each friendship game will have Referees but at the same time, Instructors will be on the ice to help train the young Referees. MIHOA will be filming some of the play so they can review the referees work after each competition. Head Coaches will be asked to attend a post-game debriefing after each game. This is a major step to improving the MIHOA staff and our referees. This all happens during the Winterland Friendship Games at the Webster Groves Ice Rink in July of 2017. Winterland hosts a weekend of youth games each July dedicated to promoting friendship and playing the game for fun. There are no trophies and no Champion. Just a weekend of fun and excitement for Squirts, Peewees and Bantams. You can check into becoming an Official by visiting the MIHOA web site by clicking on the MIHOA logo above. Buffalo Wild Wings locations in Brentwood, Kirkwood and Creve Coeur have joined our team of sponsors for the 2017-2018 season. It's the perfect place for teams to have a great meal and some fun hanging out together. 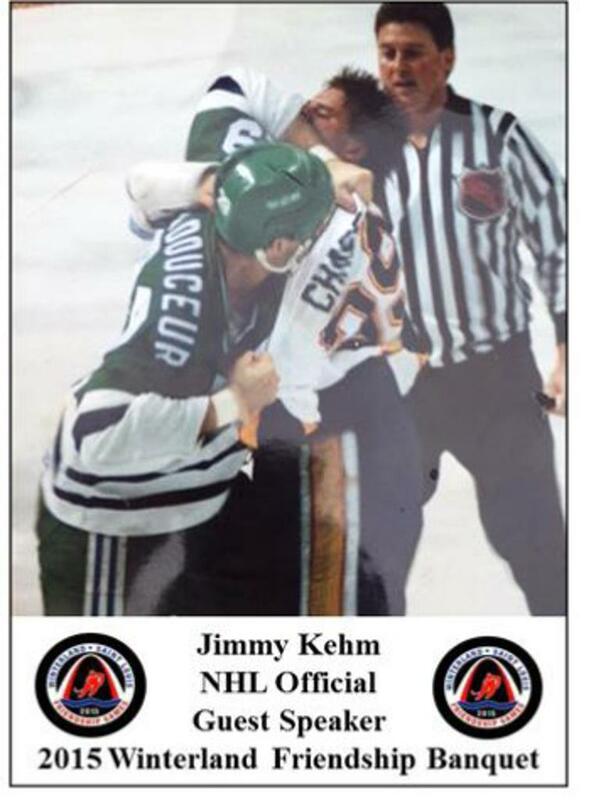 Missouri Ice Hockey Officials Assn. For years Bruce Racine has come out to our Winterland programs to help our young goalies. 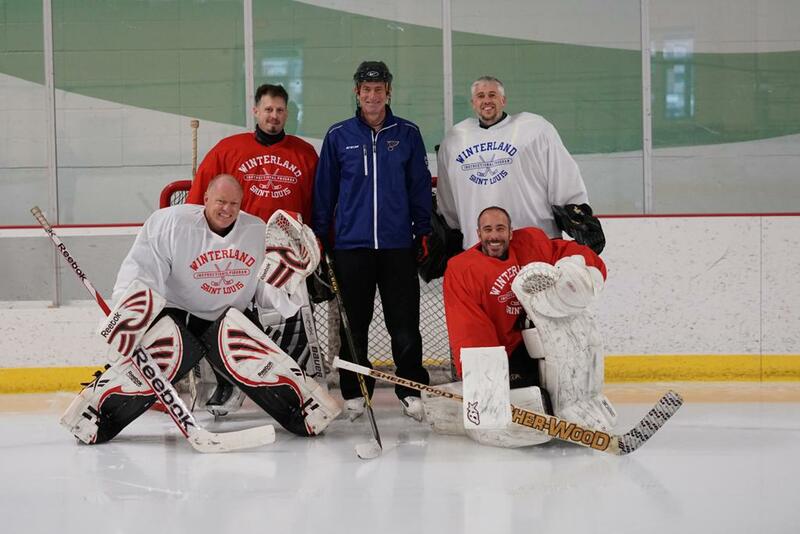 Best Instructor in St. Louis for Goalies. We want to Thank our friends at Mulligan Printing of their support with our H.E.R.O.E.S. Care Project. Official Game Puck Enterprises, Inc. It is with great pleasure that Winterland announces that Jet's Pizza has joined the team of local companies to help support the 2018 Friendship Games. With five locations in the St. Louis area including two locations near our host rinks (Webster Groves and Creve Coeur). Working with Coaches & Sport Leaders to Shape a Positive Sports Culture for All Young People. Owner, Gary Donaldson, kicked off the fundraising drive for the Rockets Squirt Silver's Community Program with a small donation. Gary's donation will help pay for postage for the 16 Care Packages the Squirts are sending to out troops overseas. Gary skates in the Winterland Monday Night Adult program and our Sunday morning 3 on 3 Cross Ice program. Just proves that hockey people are the greatest!!!! Winterland is proud to partner with the Cyclones to help promote and develop youth hockey for girls. Keeping St. Louis Hockey History alive!!! For years, The Rockets have been a great help to make sure the Winterland Program has enough ice and equipment to not just help their own kids that participate in Winterland programs but to also help all the other kids from the different clubs in the St. Louis Area. Winterland wants to thank our friends at Missouri Hockey for their help in the development of our No-Check Program and their support of youth hockey.